The time has come to imagine a new age, the Fourth Age of Understanding. This is the mission of Razie Mah. Modernism is fading. Yet, Darwin’s theory of evolution remains. In the coming age, we can recognize a mystery within the intersection of natural selection and genetics. We can appreciate how the human niche honors the Biblical creation of humans in the image of God. Postmodernism is hollow. In the coming age, its void fills to overflowing with a global narrative, born of an understanding of talk that derives from both Ferdinand de Saussure and Charles S. Peirce. The evolution of talk is not the same as the evolution of language. The evolution of talk explains the potentiation of unconstrained complexity. I call this “the first singularity”. One particular fairy tale bears witness to the first singularity. It starts at Genesis 2.4. Look and see. The Progressive agenda is full. A legion of post-religious (formerly, “enlightenment”) bureaucrats swarm the corridors of power. What is this leviathan? Is it a sovereign, composed of gods, striving to become God? Look at your television. What is it telling you? Has the word “religion” become meaningless in the face of the leviathan? Can self-anointed visionaries, who claim to be “not religious”, establish a sovereign religion? This question undermines current definitions of the word “religion”. The question dissolves the tautologies at the foundation of Progressivism. The question calls for new tools of inquiry. 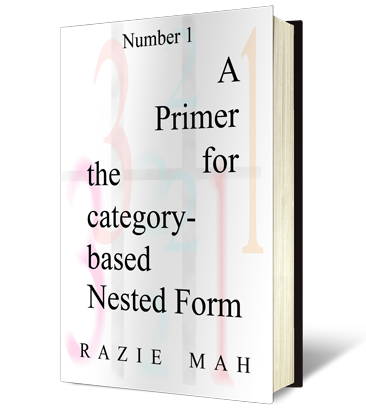 One tool presented here, the category-based nested form, provides a new method for comprehending the natures of social construction, society and interpellation. It provides relational models for defining the word “religion”. It shows us what the leviathan is. It is a mountain of organizational objectives, each requiring sovereign power. Modernism passes and yet, remains. The valleys of Postmodernism will be filled. The mountains of Progressivism will be leveled. The time has come to imagine a new age. What is the fourth age of understanding? The idea is presented by John Deely in Four Ages of Understanding: The First Postmodern Survey of Philosophy from Ancient Times to the Turn of the Twenty-First Century (2001, University of Toronto Press). This is not the only work where Deely introduces the forthcoming Age of Semiotics… or should I say, the Age of Triadic Relations? Semiotics is the study of signs. Signs exist as triadic relations. They are categorically different than dyadic cause and effect, so familiar to science. Indeed, they encompass dyadic cause and effect. Science is not enough. Why did we imagine that it was? Razie Mah stands on the shoulders of the American philosopher, Charles S. Peirce, plus all those who follow his thought, such as Thomas Sebeok and John Deely. He stands on the shoulders of the Baroque scholastic, John Poinsot. He introduces the category-based nested form, the triadic structure of judgment, and other models useful for reading texts. He comments on a wide variety of publications. For the topic of human evolution, he proposes that the human niche is the potential of triadic relations. Furthermore, our current Lebenswelt is not the same as the Lebenswelt that we evolved in. The transition, the first singularity, inspires the fairy tales at the start of Genesis. The consequence of the transition offers a scientific picture that mirrors the Christian concept of the Fall. But, our reality is not our own. Welcome to the Age of Triadic Relations. The crisis is about to begin.